Here are a couple of reasons why I am having these giveaways. This is a sampling of what she sent to me. =) Pretty wonderful, huh?? 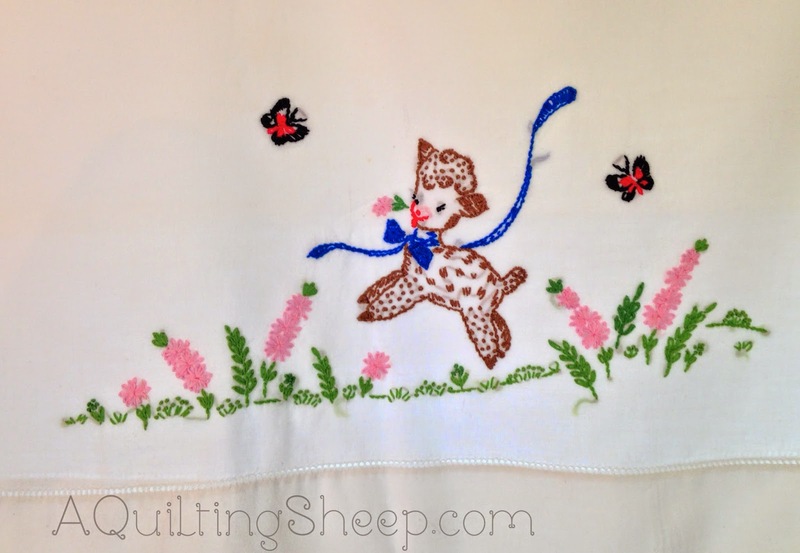 A couple of days ago, Susan @ Pots, Pans, Pins and Prayers sent me this darling lamb embroidered pillowcase. These kind of kindnesses always blow my mind. I have never met these two dear ladies in real life and for them to be thinking of me brings me to my knees. They have been an instrument of God's love...It brings tears to my eyes to have such generosity shown to me. I am honored and glad to pass that type of unselfish kindness on. =) Three more giveaways to go! Have a happy Monday everyone!! 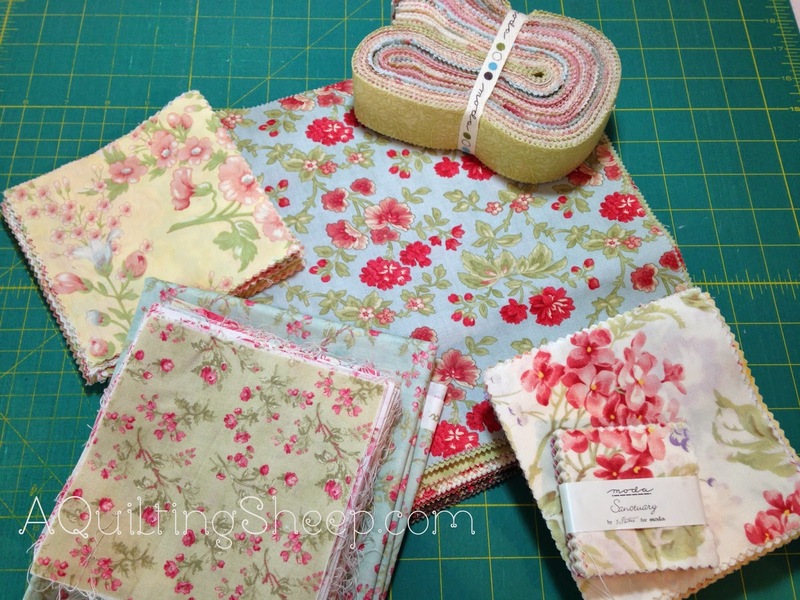 What is it about 3 Sisters Fabrics? When they use soft pastels, their fabrics remind of so many lovely women who helped me become who I am! It is so wonderful to have such special and thoughtful friends. Sweet friends, and lovely gifts. It really is amazing who God puts in our path to help us along the way. Sometimes help comes when you least expect it and in a form you never would have imagined, but it helps in a way you never thought possible. 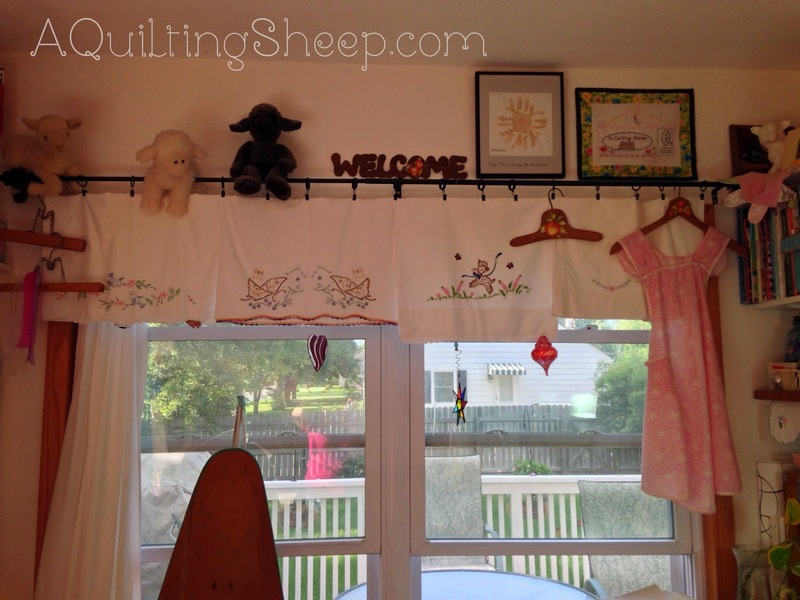 Wonderful way to have them displayed...and awesome gifts.